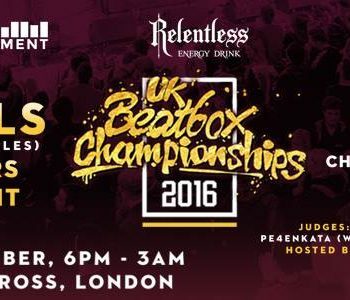 Held by the people who brought you The Welsh Beatbox Championships, Cardiff Beatbox Battles, Cardiff Beatbox Showcase and more recently Starving Artists Beatbox Battles. It is taking place at Undertone in Cardiff on Saturday December the 12th 1:00pm until 9:00pm - Entry fee will be only £4. Children are welcome! To spice things up a little bit, we have MC's Chew Matt McFarlane , Faith Sonic Femi Ashiru and Minotaur Bus Dorian Grayskull on the day. The head-to-head battles will consist of 2 x 1 minute rounds each in the usual 'A-B-A-B' format. In the event of a tie, you will be asked to perform another 30 seconds each to determine the winner. A coin toss will decide who goes first. 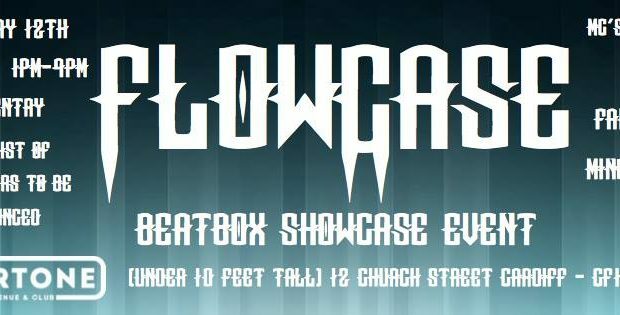 If you are travelling from far, feel free to book yourself in at the SafeHouse Hostel (www.safehousehostel.co.uk) which is our regular hostel for all Beatbox events in Cardiff.